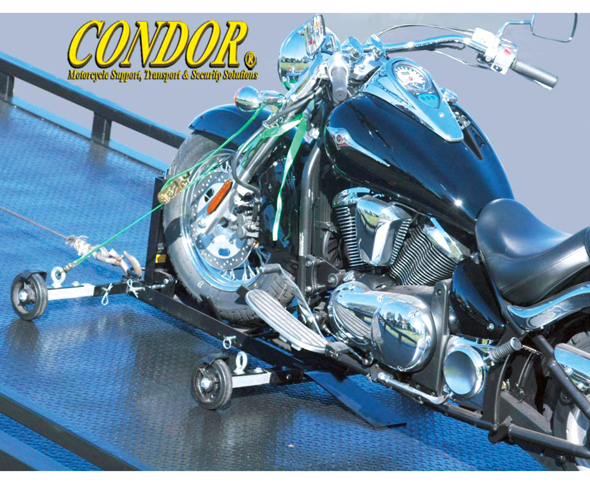 The Condor® Cycle Loader is a fully adjustable motorcycle locking system which accommodates all motorcycles. The Cycle Loader also fits in 18” toolboxes when broken down and is ideal for one-man operations. The Cycle Loader serves as the perfect device for loading, securing and transporting motorcycles safely on all flatbeds and pickup trucks. Call 800-461-1344 or visit www.condor-lift.com.